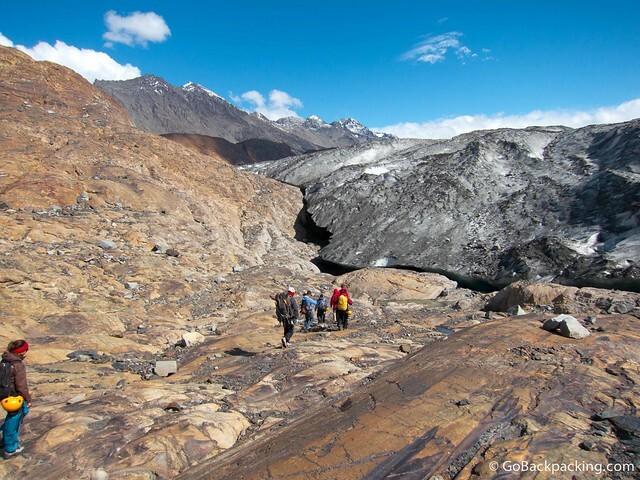 Spoiler Alert: Skip this post if you intend to visit Viedma Glacier one day, and don't want to know the surprise endings that await groups who walk or climb on it. Spending a day ice climbing on Viedma Glacier was a dream come true. As our time on the glacier was coming to an end, Giselle, our lead guide, said she had two surprises for us. We were then led off the glacier in the same way we arrived. Confused, I questioned out loud why we were leaving our crampons and the glacier behind so soon. 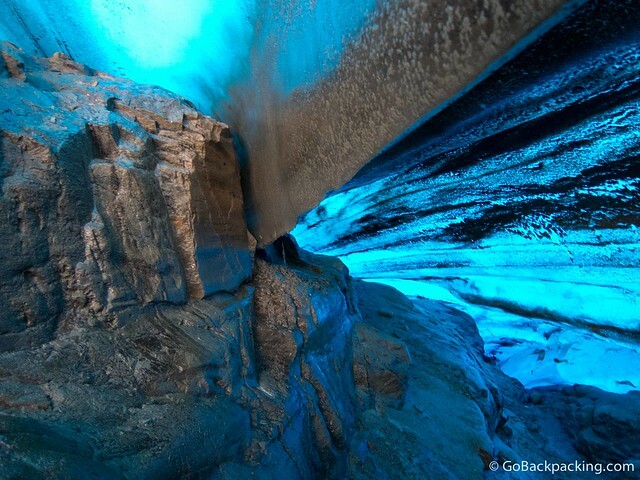 I'd been hoping our surprise would be some cool ice caves, like the one I saw on Franz Joseph Glacier in New Zealand, but now I started to feel a little disappointed. Giselle lead us back onto the solid rock, and walked us down along the front edge of the glacier. 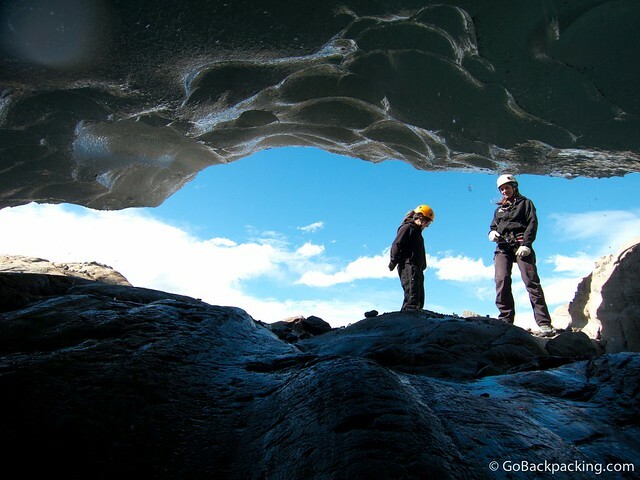 Eventually we arrived at a large cave-like entrance between the rock below us, and the glacier above. 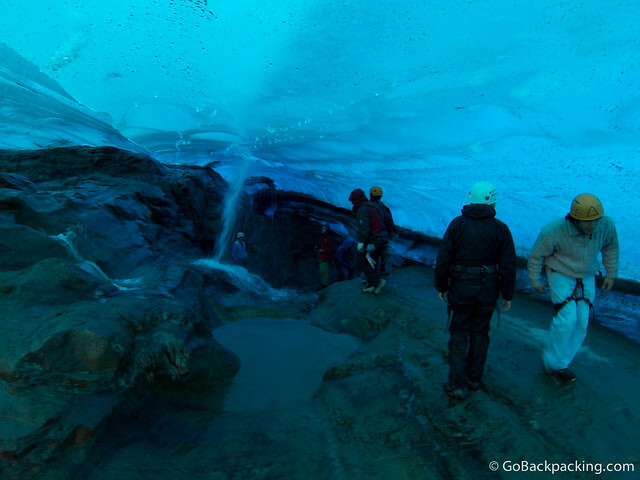 Instead of a standing in an ice cave on top of the glacier, we were about to walk under the whole thing! It seemed kinda crazy, walking under tons of solid ice, thousands of years old. Ice that is shifting daily. Ice that is melting under the warm Summer sun, right before our eyes. But that's exactly what we did, and it was fascinating. The first thing I noticed was how wet it was under there. Thankfully, we were still wearing all our water-resistant gear, because it felt like a steady rain of glacial melt was dripping on us. Holes punctured in the ice above created waterfalls, allowing water melting from above to collect in pools on the solid rock below. It was as if we were walking through a living, breathing organism. Concerned about my camera getting wet, and the entire glacier collapsing on me, I didn't linger. 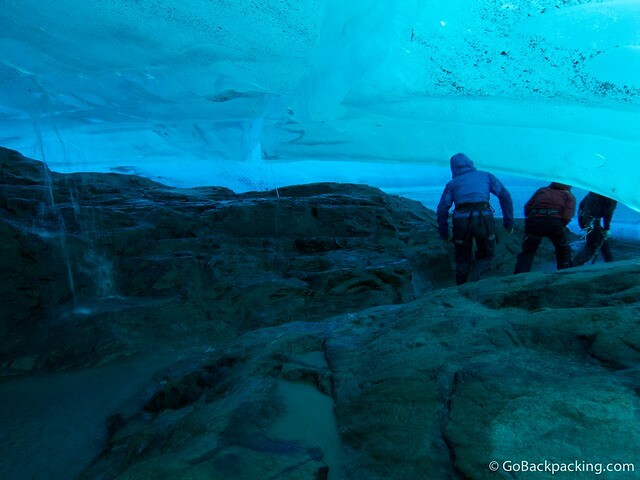 After hurriedly taking a dozen photos, I emerged from under the glacier. Giselle was waiting for us at the exit, and once everyone had made it out, we were informed of our second and final surprise. A bottle of Bailey's Irish Cream was opened, and we were each handed plastic cups with ice cubes chipped directly from the glacier. Keenly aware of the declining state of the world's glaciers, I certainly felt strange trying to enjoy my cup of Bailey's and glacial ice. 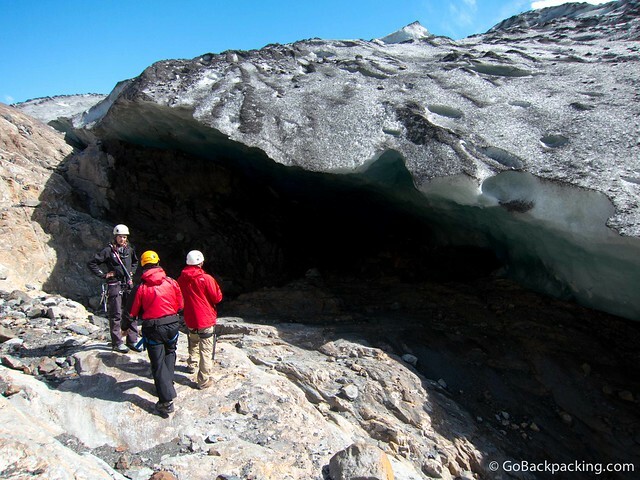 I had to trust the company and guides wouldn't be doing this for the tourists if it were going to have a serious impact on the overall state of the glacier. 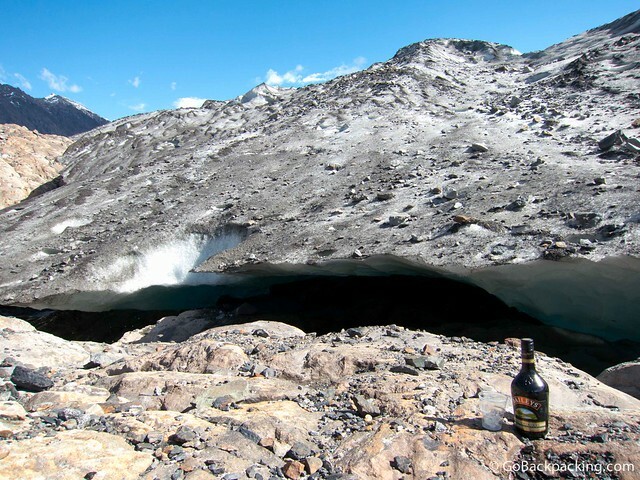 In the photo above, you can see the amount of ice taken from the glacier for drinks over the entire Summer season.